If you suffer from sleep apnea or some other condition that impairs your breathing while sleeping, you may have been prescribed a continuous positive airway device (CPAP) by your physician. Although the machine protects those affected from the dangers associated with sleep apnea by stabilizing airflow, operational costs can be rather hefty. According to San Diego Gas and Electric, customers can save approximately 30 percent each month on their utility bill by applying for this credit. With the appropriate documentation from their physician, CPAP device users in participating states are eligible for the credit. 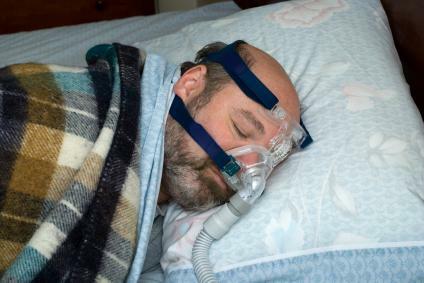 It is likely you will have to ask your physician to provide supporting documentation indicating that you must use the CPAP machine. It should include the results of your sleep study, which will indicate the number of times your breathing ceases throughout the night along with your heart rate and oxygen level. Doing so may strengthen your chances of receiving a credit even if your utility company does not have a Medical Baseline Allowance Program. In some instances, it may be the physician who decides your eligibility for inclusion into this type of program. To apply for inclusion into the Medical Baseline Allowance Program or whatever program is offered in your state, contact your utility company to learn how to proceed. You will need to complete an application that includes verification from your physician documenting the condition. In some instances, you may have to inquire with a utility company representative to find out if they offer a program of this sort as it may not be openly advertised. It is certainly worth it to inquire, however, as these programs can certainly take some of the stress out of paying the operating costs for the CPAP. If your application is approved, but you are not the responsible party for remitting payment each month, the credit will be applied to the appropriate bill. Also, the credit does not automatically transfer upon relocation; it is your duty to notify the energy company. Contact your local utility provider to find out if an energy credit program is available, and if so, how to apply.